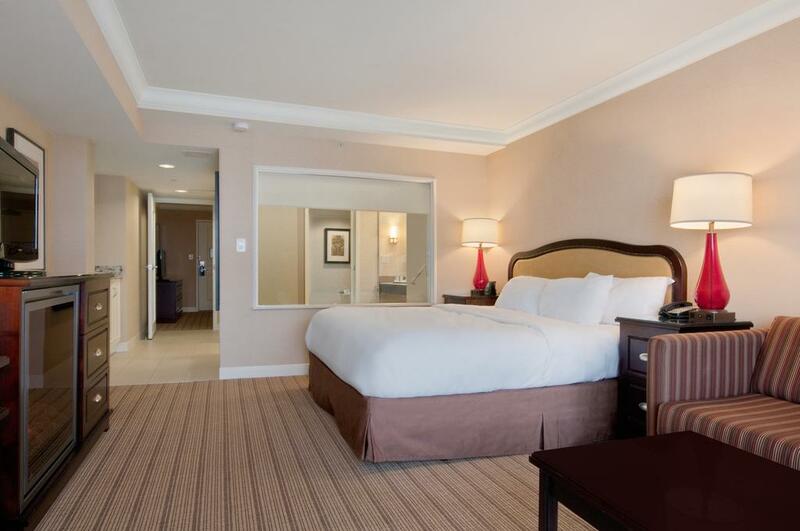 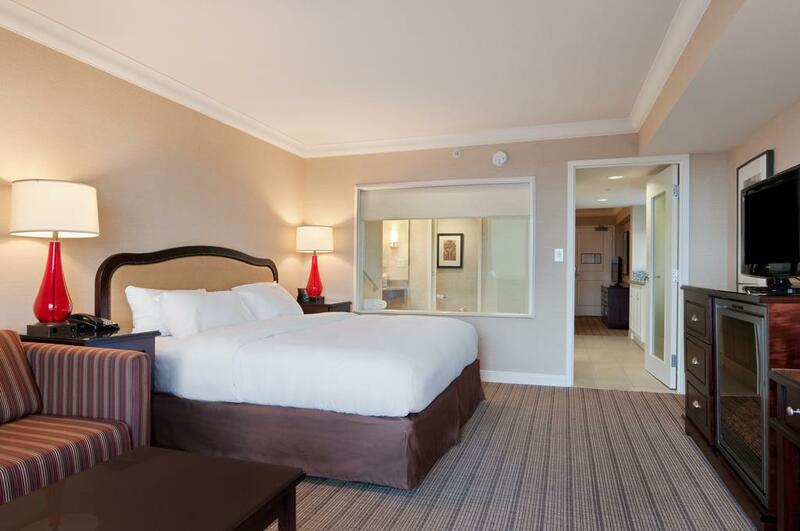 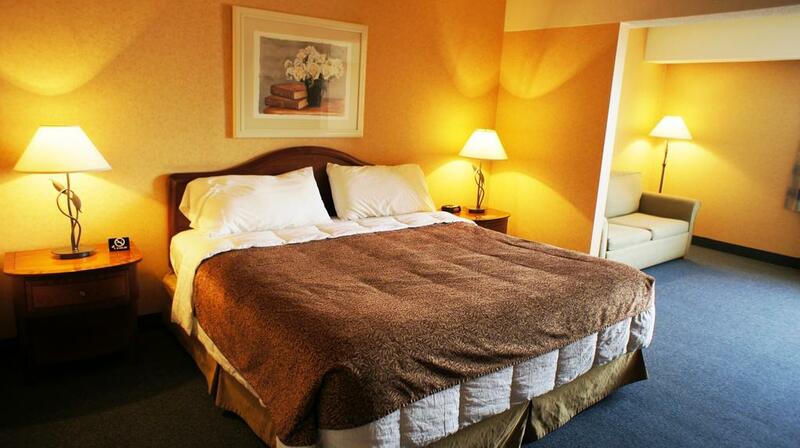 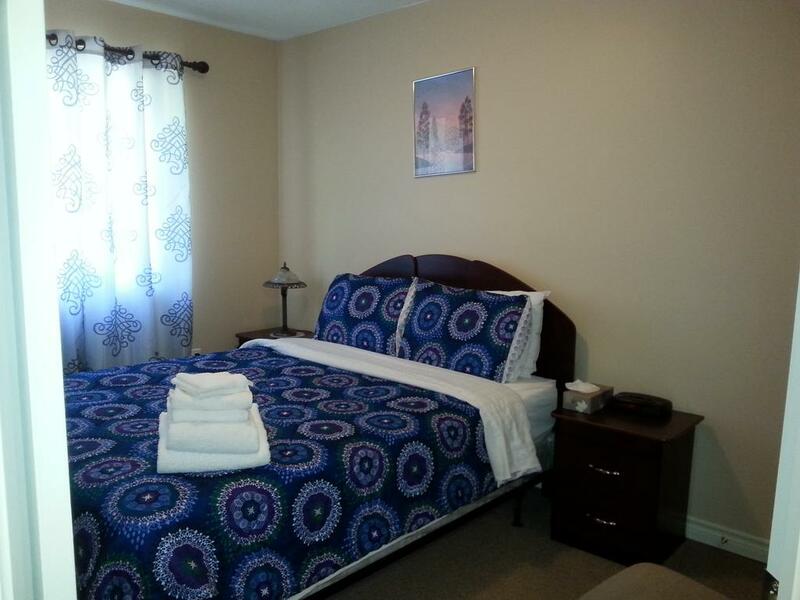 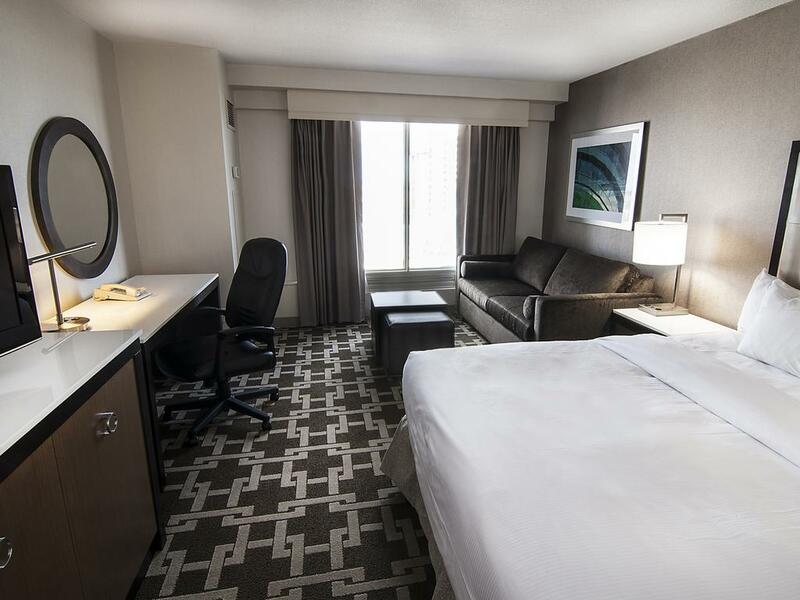 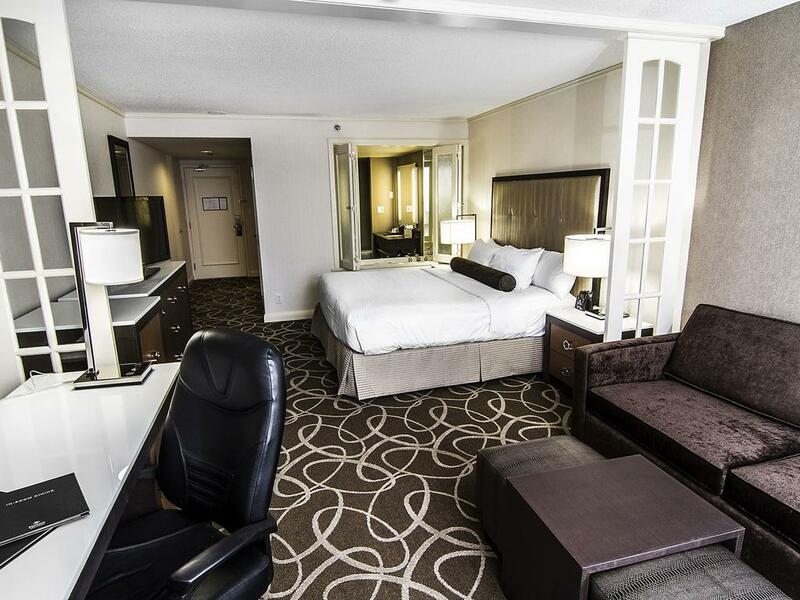 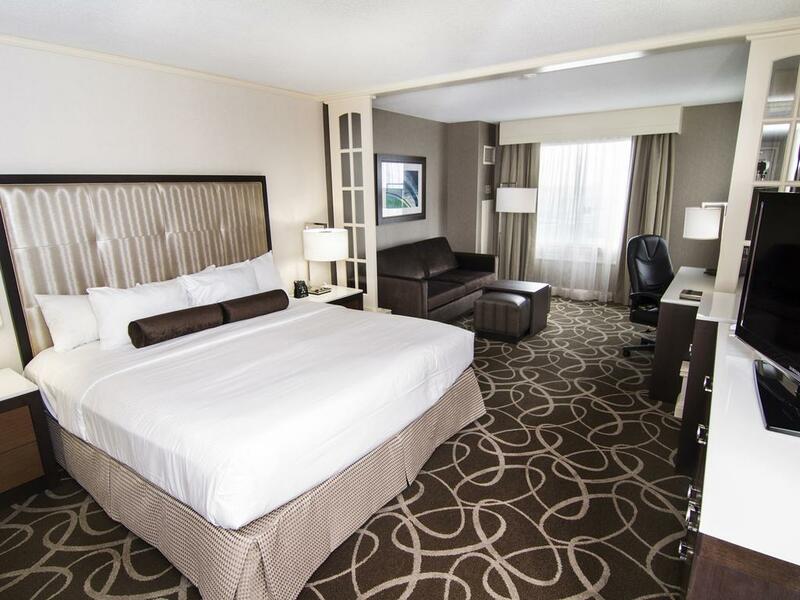 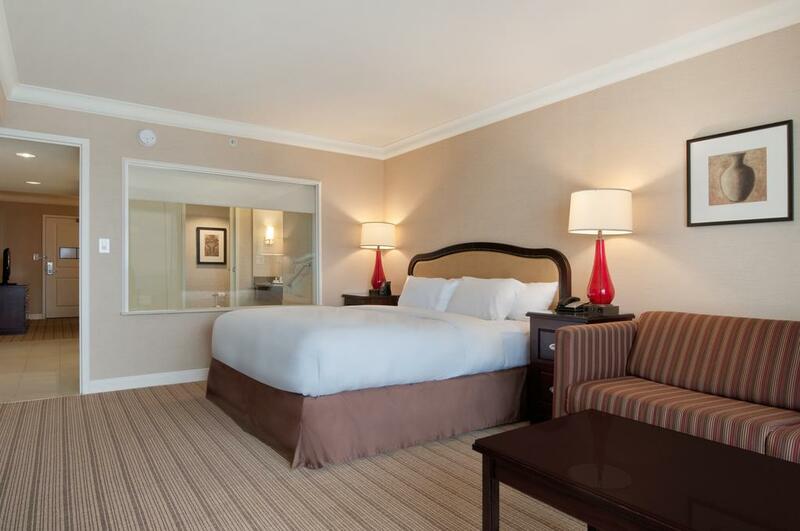 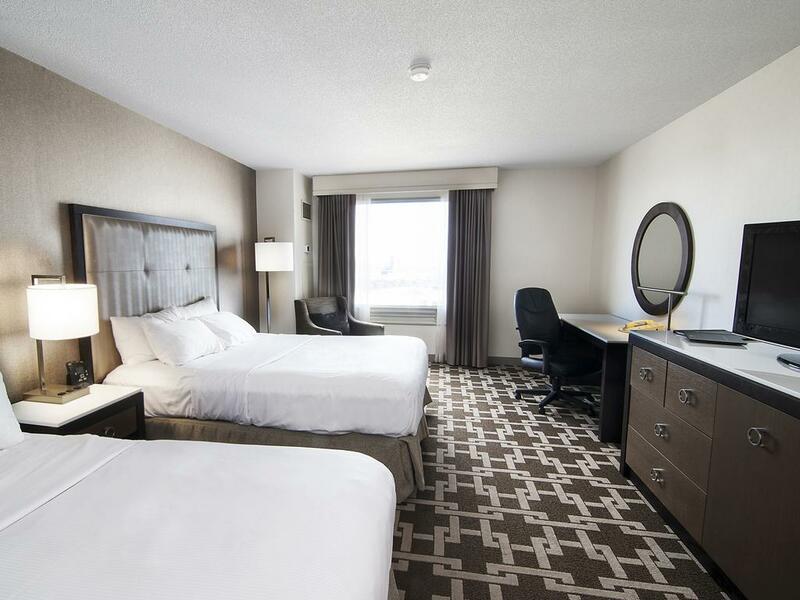 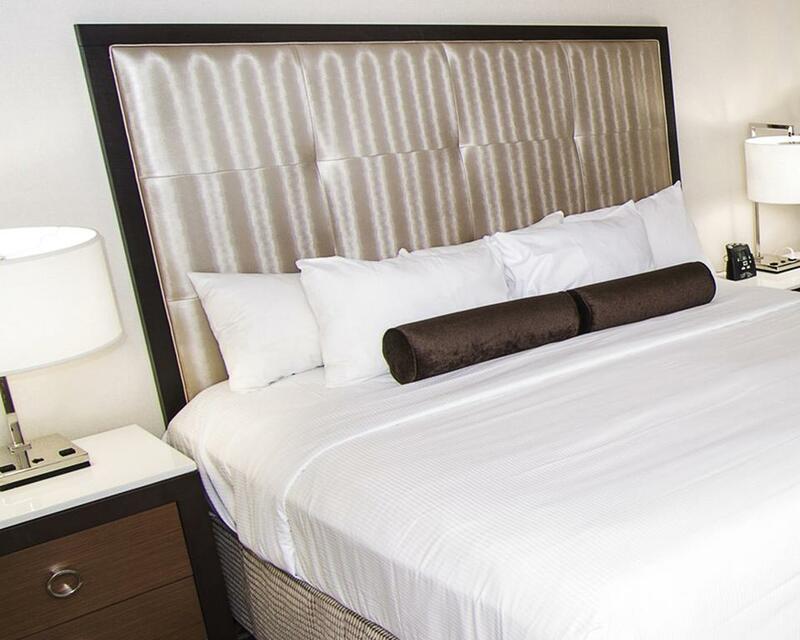 Each spacious guest room comes equipped with a flat-screen HDTV, coffee maker, hairdryer, seating area and work desk. 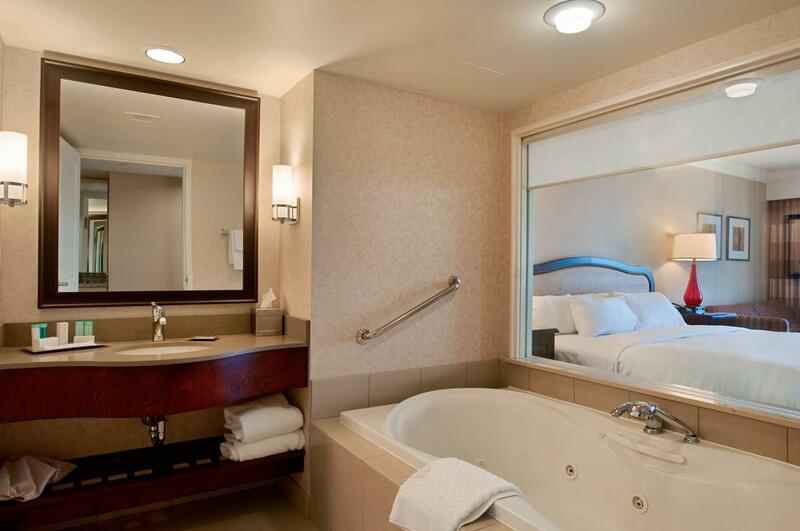 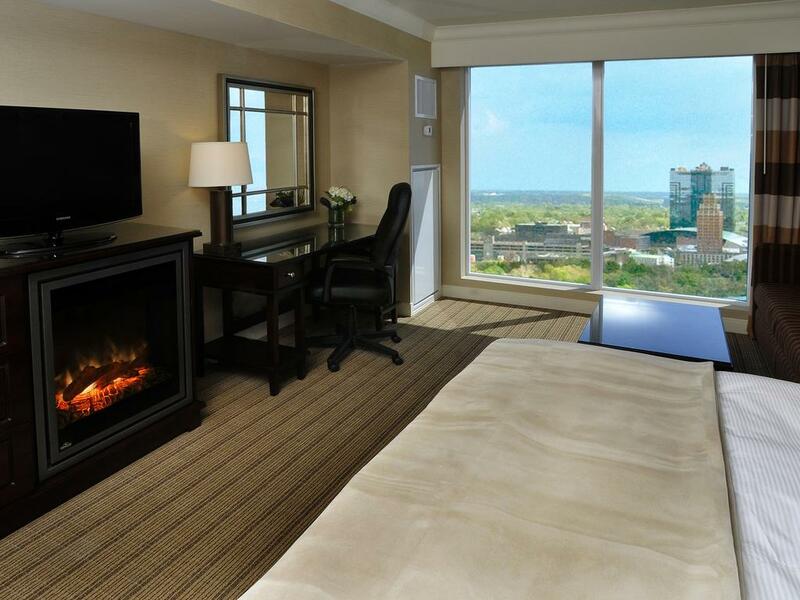 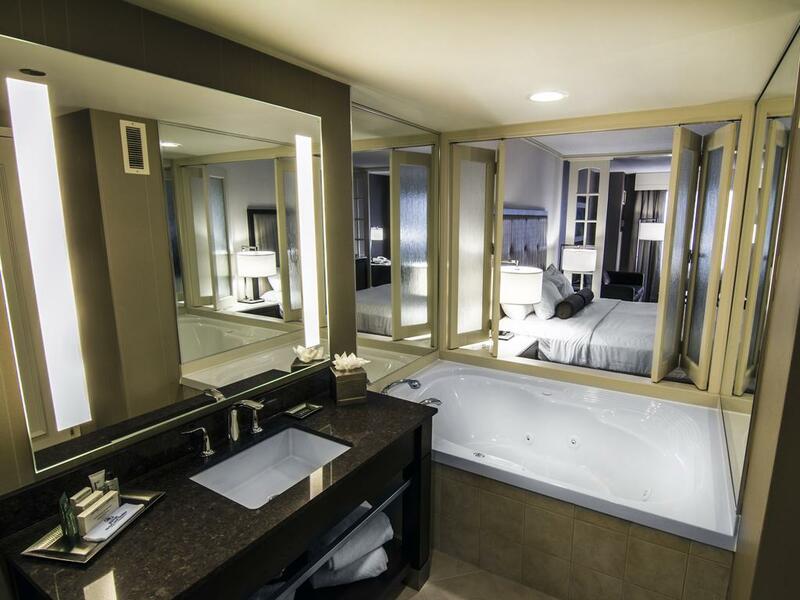 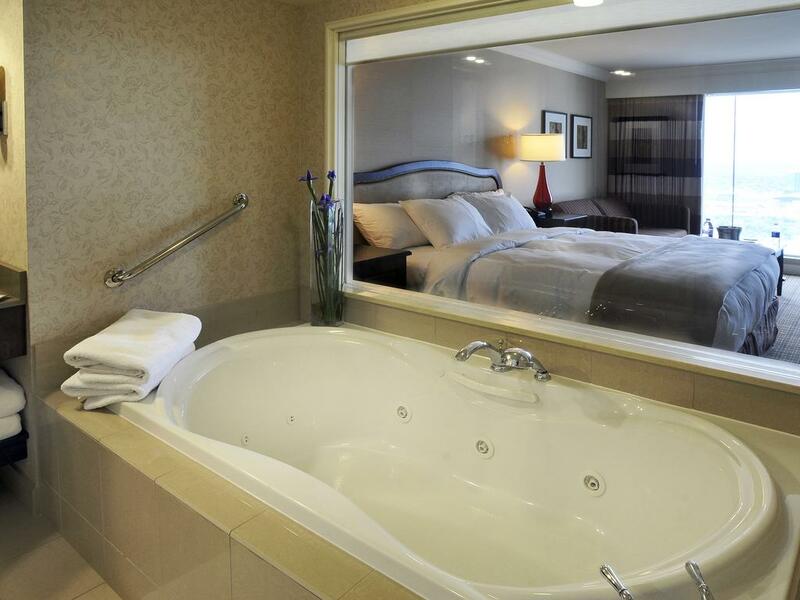 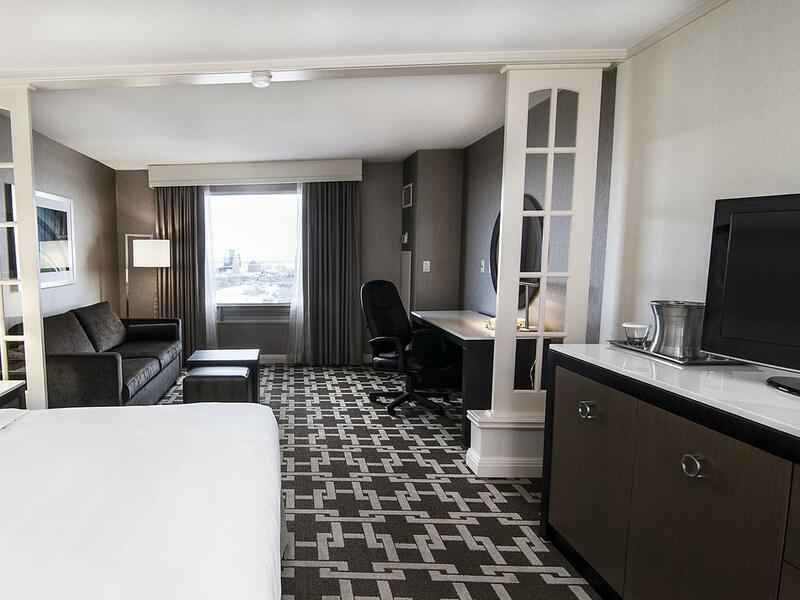 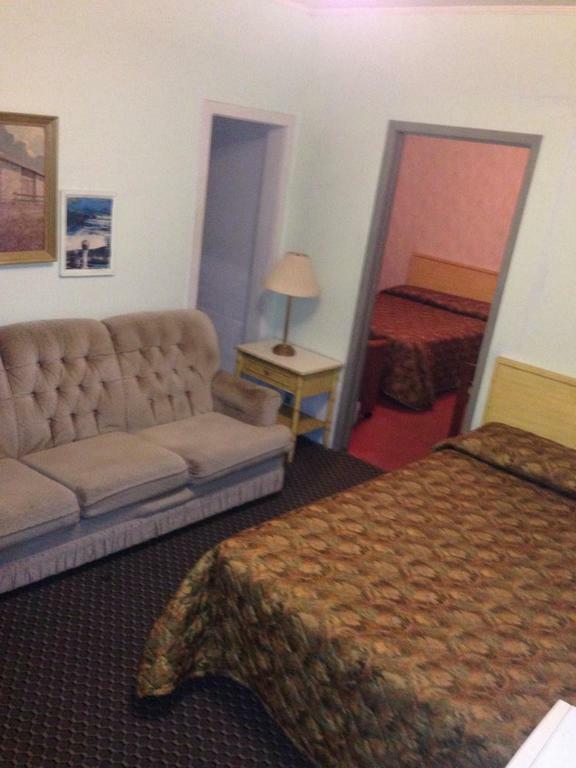 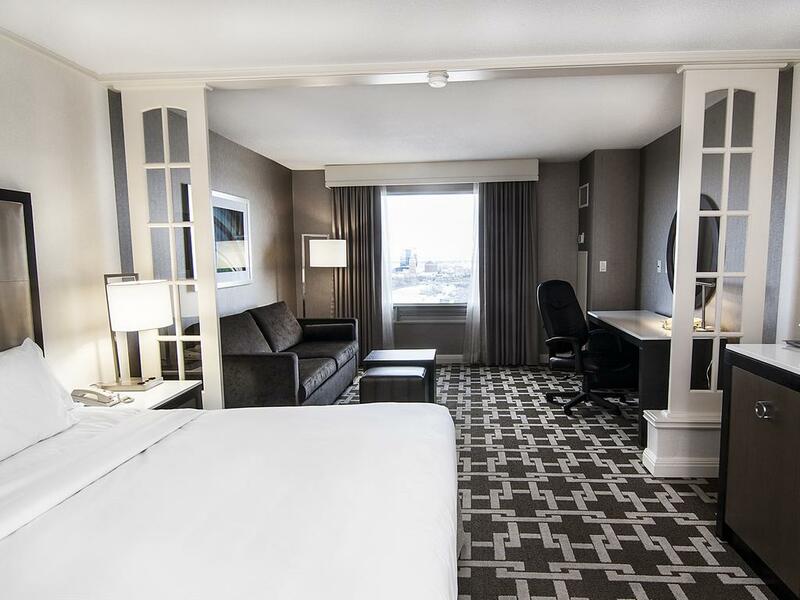 Select rooms offer an in-room hot tub and views of the Falls. 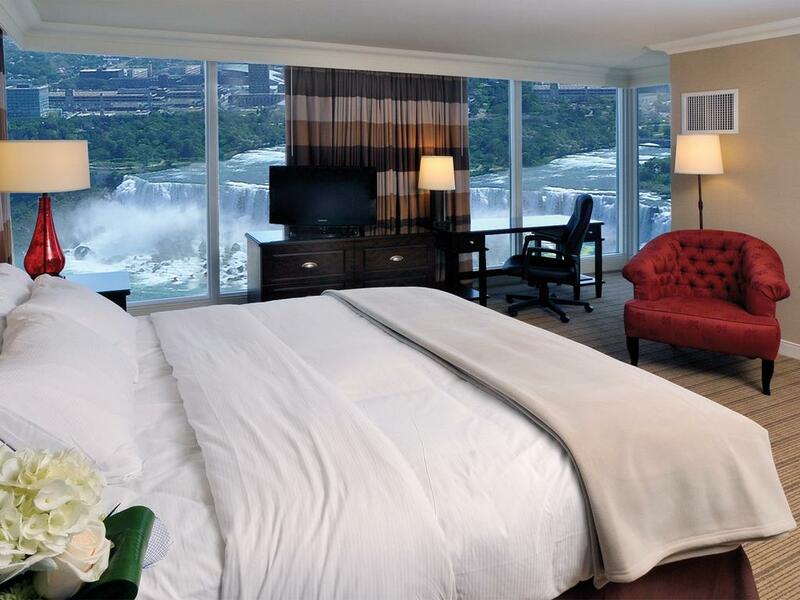 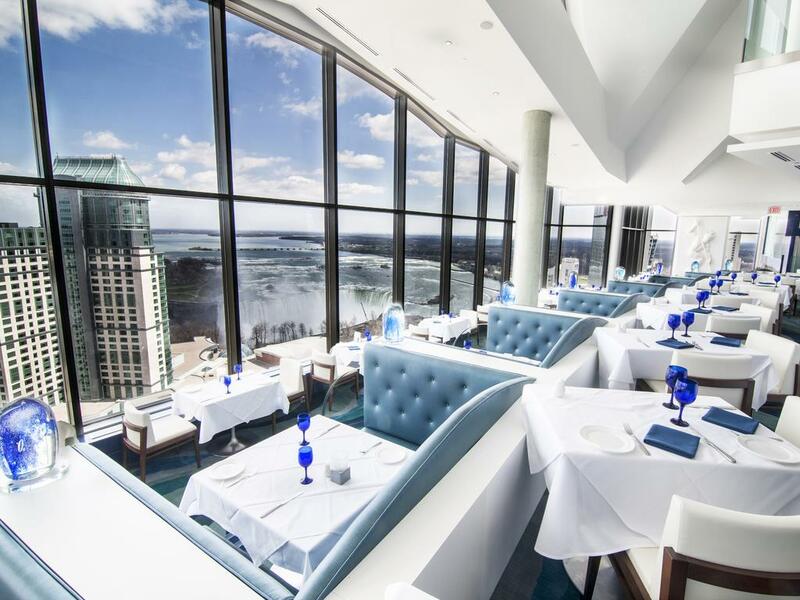 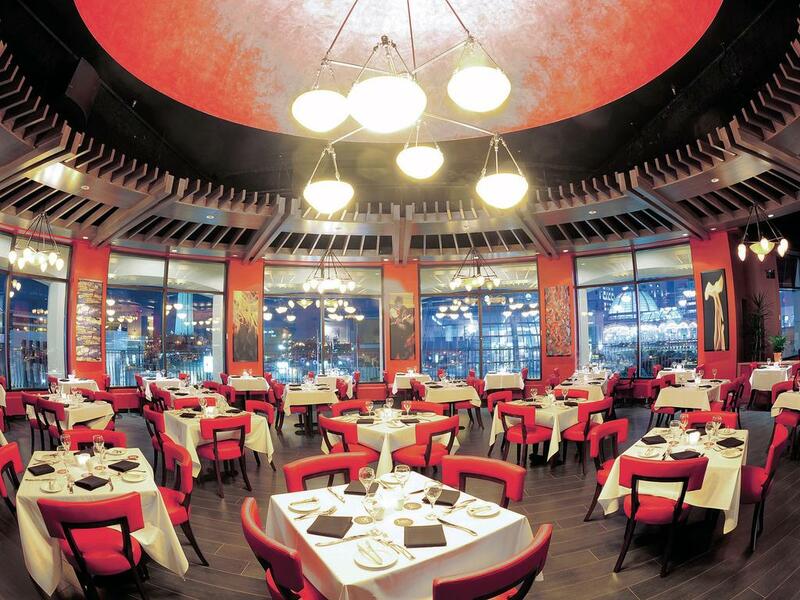 The Hilton Hotel and Suites Niagara Falls/Fallsview features a wide variety of on-site dining options: Brasa Brazilian Steakhouse serves a selection of traditionally grilled meats, Pranzo Italian Grill offers authentic Italian fare and The Watermark Restaurant provides stunning floor-to-ceiling views of the American and Horseshoe Falls. 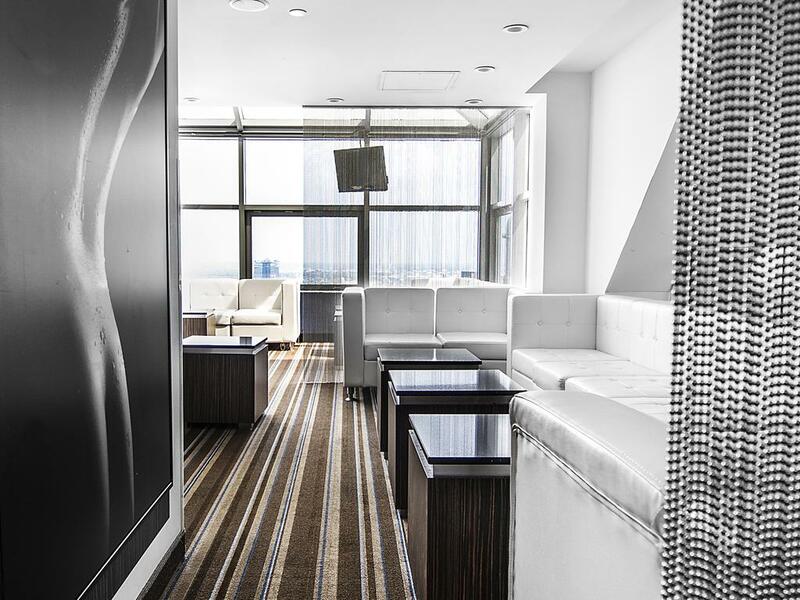 Guests will also find Mercato Market Café and 2 stylish bars in this hotel. 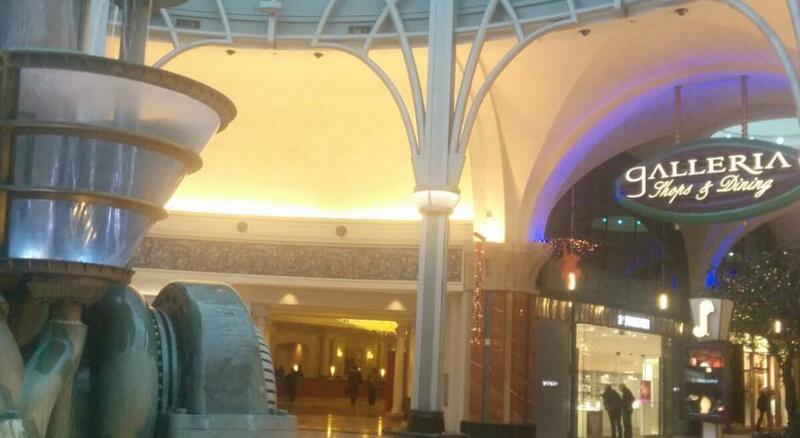 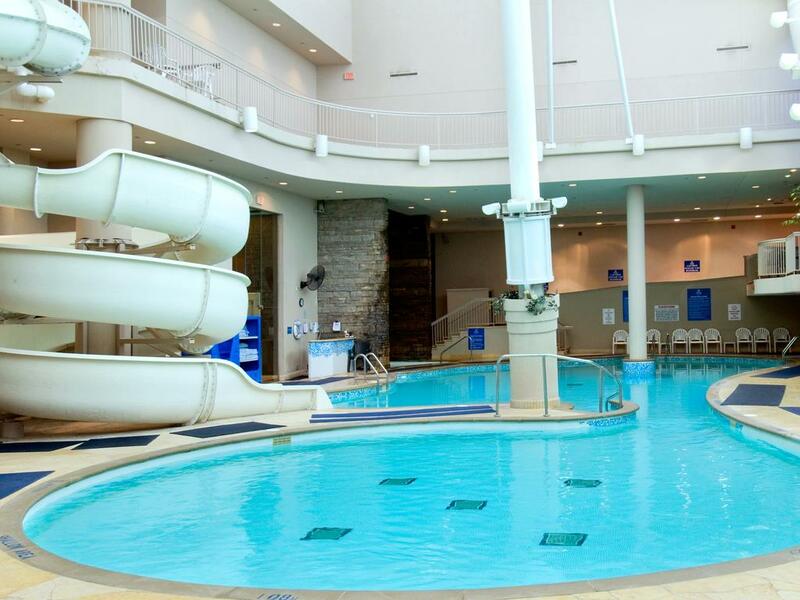 The Hilton’s indoor pool has a 30-foot, spiralling waterslide. 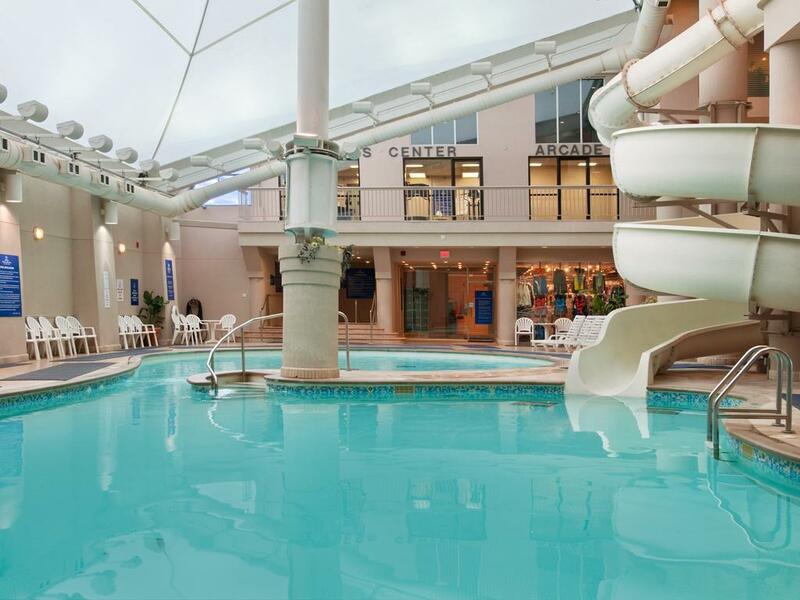 Additional recreational facilities include a large hot tub, sauna and state-of-the-art fitness centre. 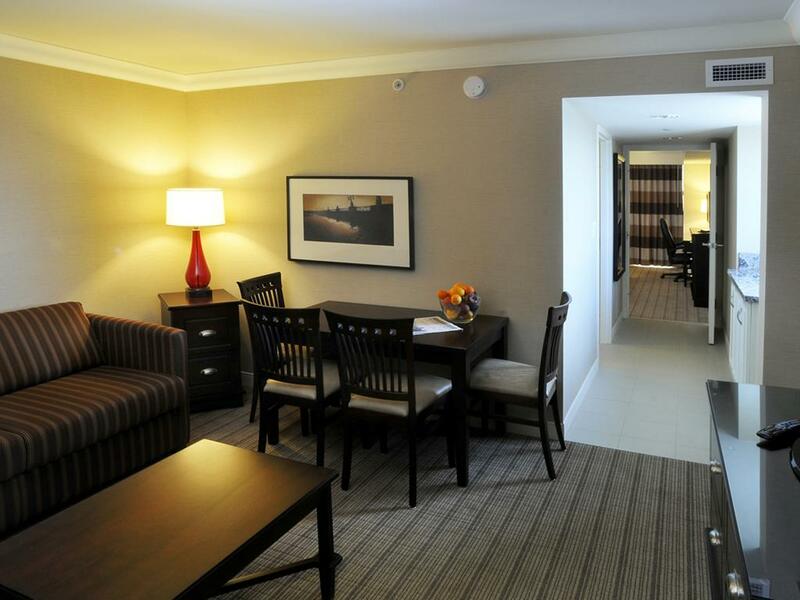 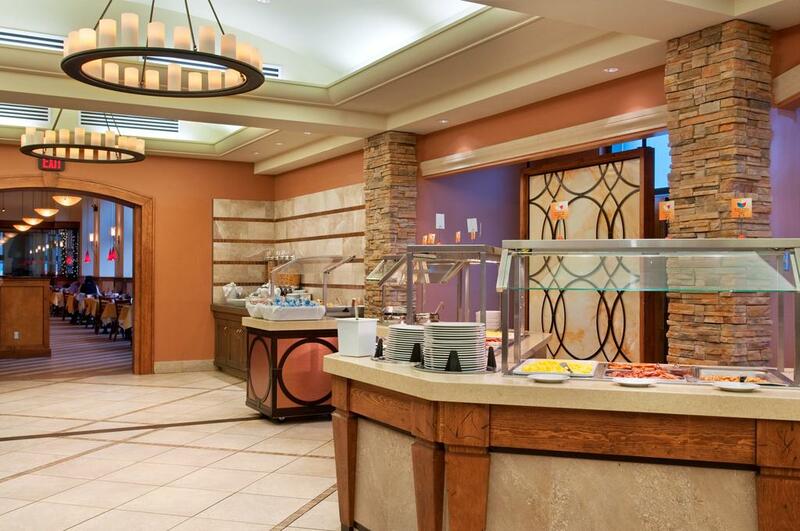 An on-site business centre and full-service conference facilities cater to corporate guests. 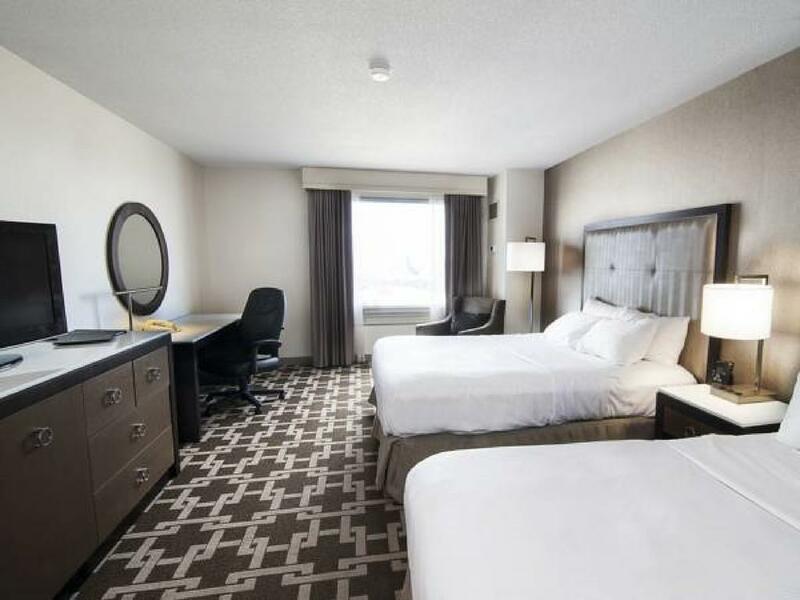 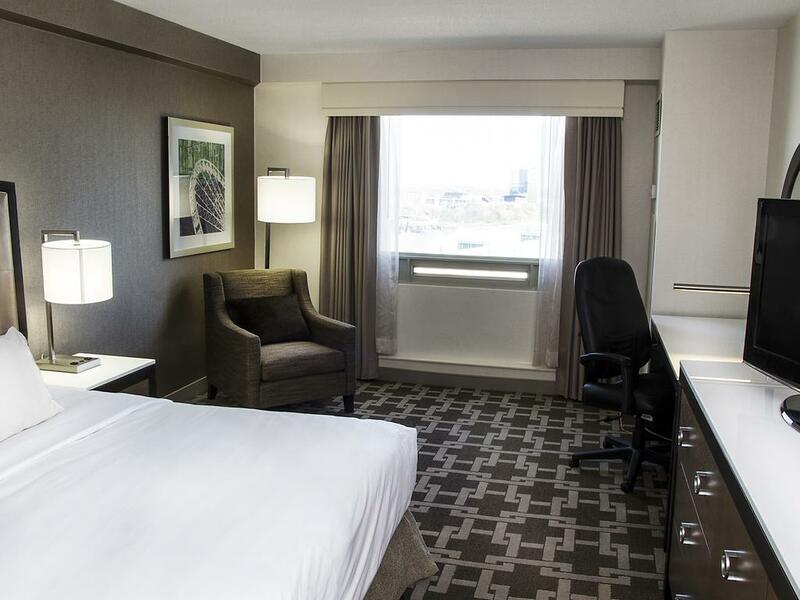 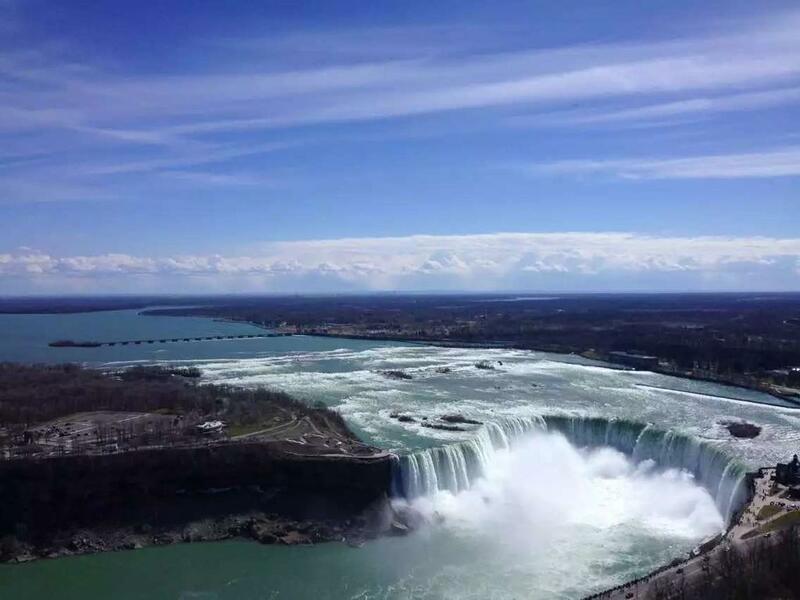 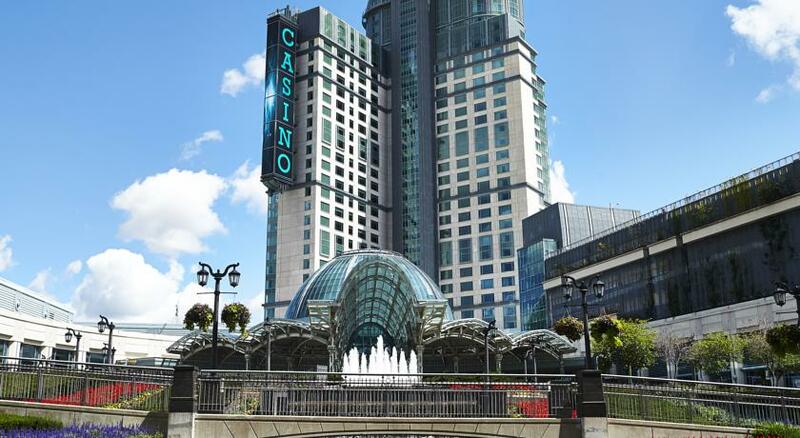 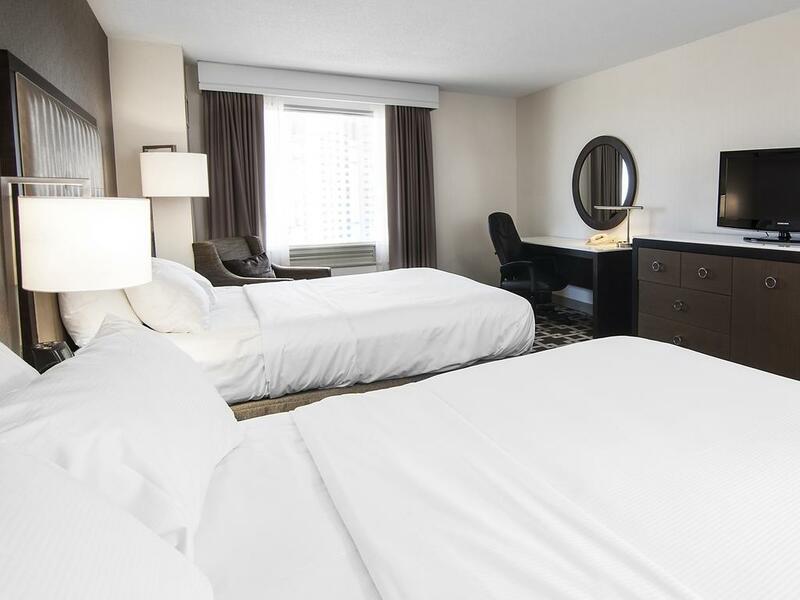 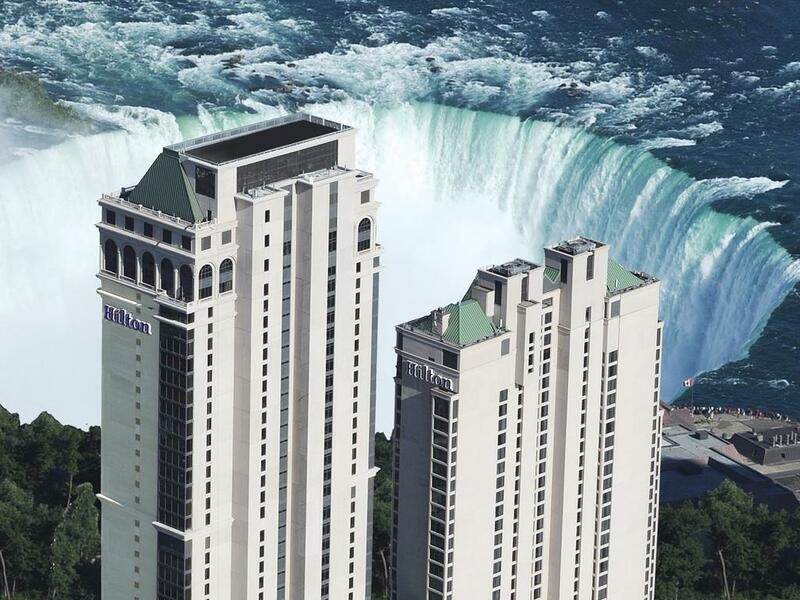 The Hilton Niagara Falls/Fallsview Hotel and Suites is just 5 minutes’ drive from the US border crossing at Rainbow Bridge. 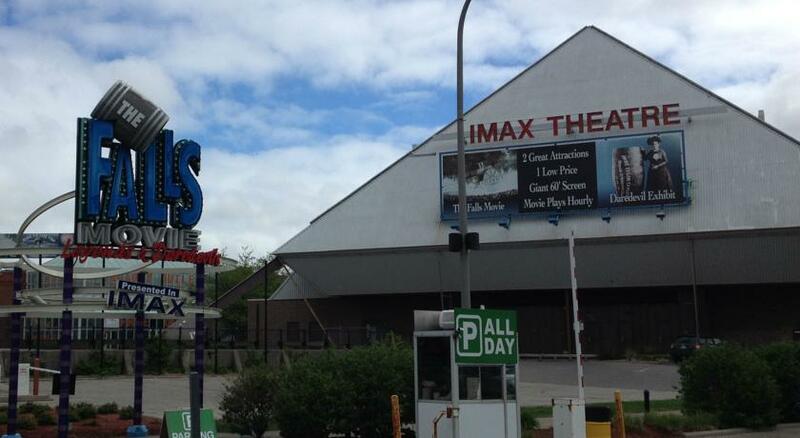 Canada One Outlet Mall, containing many brand name shops, is 3.9 km away.